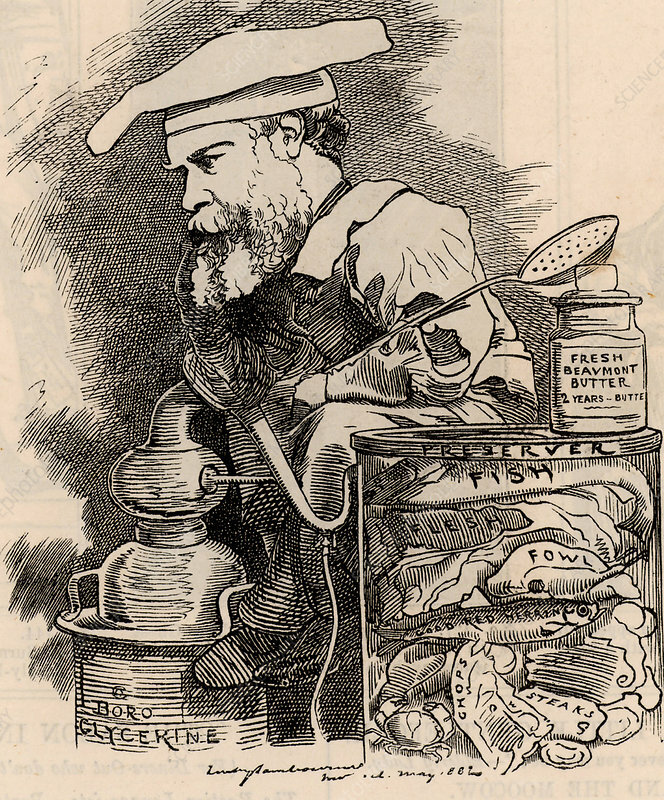 Frederick Settle Barff (1823-1887) English chemist born at Hackney, Greater London. Inventor of the Barff (Bower-Barff) process for preventing the corrosion of iron and steel by producing an adherent coating of magnetic oxide of iron (Barffing). Cartoon by Edward Linley Sambourne in the Punch's Fancy Portraits series from Punch (London, 20 May 1882).